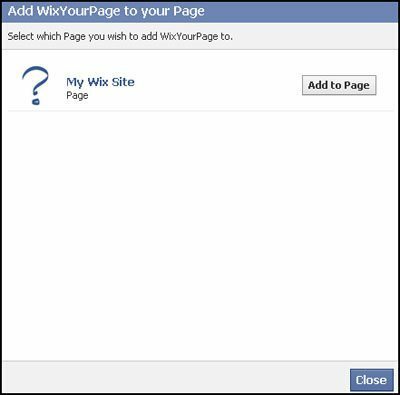 Website building platform Wix has released a Facebook application for the creation of Web pages that can be embedded inside Facebook Fan and Community pages. For those without any familiarity with the Facebook Markup Language (FBML), the application could prove quite useful. Currently, you can only publish one template per Facebook account. 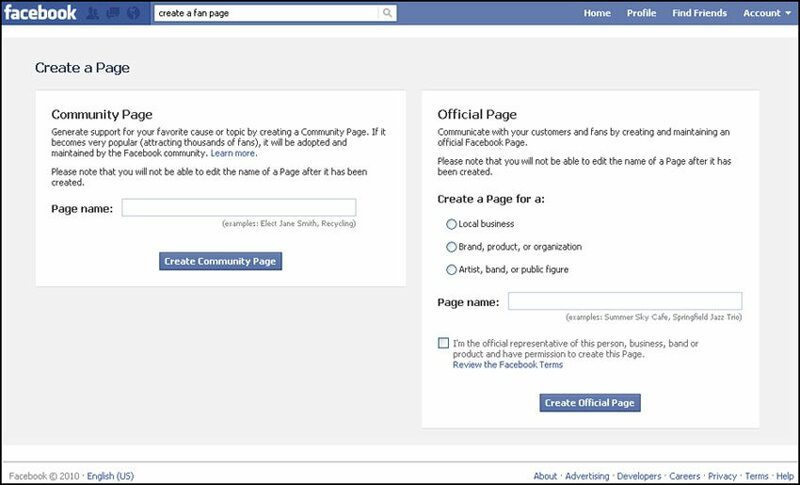 However, you can always designate another Facebook user to be an admin of your Fan Page in order to publish more templates. If you try to publish another template, your first template will be overwritten. You can use this to your advantage to change your embedded site on Facebook. 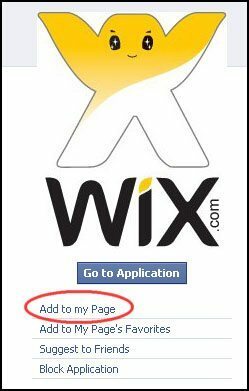 A Wix Facebook Fan Page supports all Wix content except HTML and eCommerce. An eCommerce feature will be released in the very near future! Go to Wix’s Facebook Templates page. 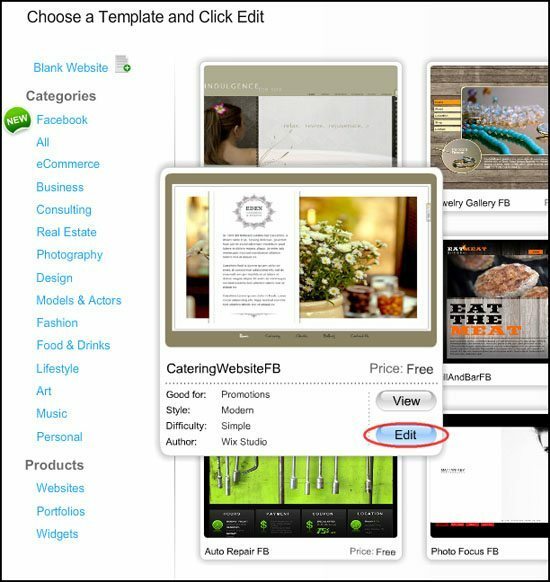 Browse the Facebook templates and find a design that you like. Roll over a template, click Edit. Your Facebook template opens in the Editor. Now you are ready to add content! To publish your new Wix Facebook Fan Page design on Facebook, you will first have to create a Facebook Fan Page. Creating a Fan Page is easy! If you don’t have one already, simply follow the steps below. Go to the Create a Page page on Facebook. Under Community Page or Official Page, in the Page name field, type in a name for your Fan Page. Click Create Community Page or Create Official Page. Your Facebook Fan Page appears. Now that you have edited your Wix Facebook template and made it your own, you are ready to publish it to your Facebook Fan Page! 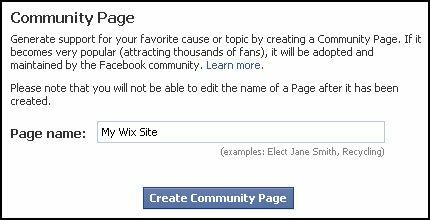 You must first create a Facebook Fan Page to publish to it from the Wix Fan Page template. From the top menu of the Editor, click Publish. From the Publish window, click Publish to my Facebook Fan Page. 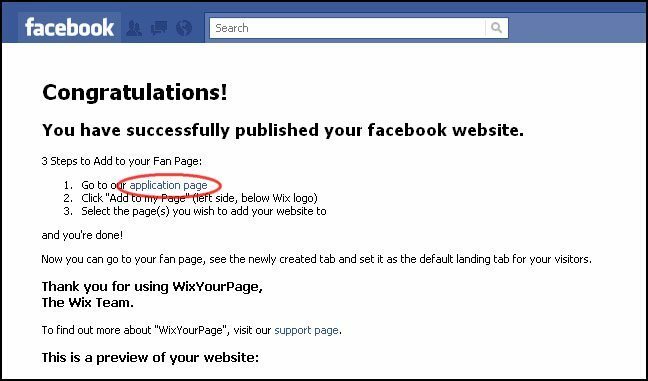 You will be directed to Facebook where you will be asked to authorize the application WixYourPage. Click Login. From the WixYourPage Request for Permission page that opens, click Allow. From the Congratulations screen that opens, click Application Page to follow the link. From your list of Fan Pages, choose a Fan Page and click Add to Page. Close the window and navigate to your Fan Page. Your site appears as a Facebook Fan Page tab! If you would like to remove the Application from a specific fan page: While in the Wall tab, under the Fan Page icon, click Edit Page > Applications > click X to the right of the Application. 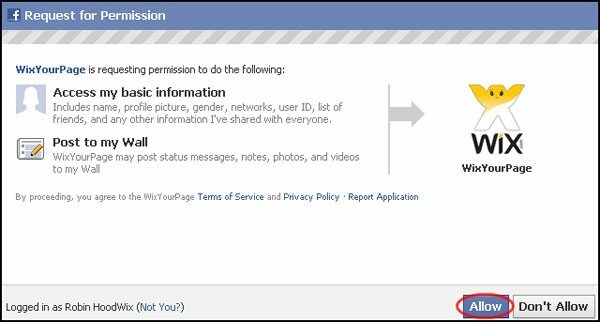 If you would like to remove the Application permanently from your Facebook account: Go to Account > Privacy Settings > under Applications and Websites, click Edit your settings > next to Applications you use, under WixYourPage, click Remove > next to WixYourPage, click X.
That’s all. Hope you will find this tutorial useful in your upcoming projects.